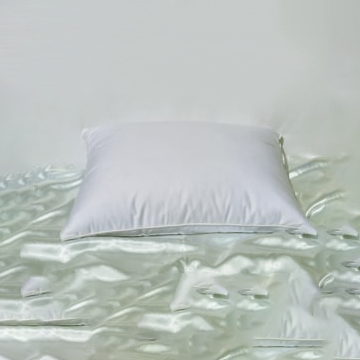 These pillows are filled with a premium Down-Like, hypo- allergenic Micro Denier (GEL) Fiber that feels just like feathers. The cover is a beautiful white on white pattern, 200 thread count, back-filled and calendar, usually used in the more expensive feather pillows. 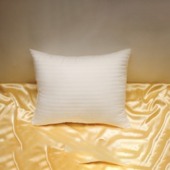 These are VERY high quality, extremely comfortable pillows, and at a very low promotional price. 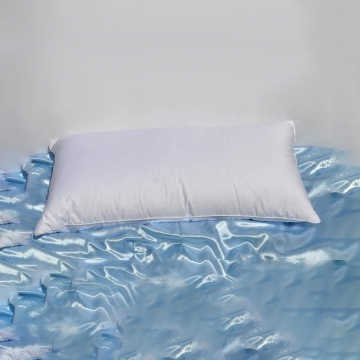 These pillows are filled with a premium Down-Like, hypo- allergenic Micro Denier (GEL) Fiber that feels just like feathers. 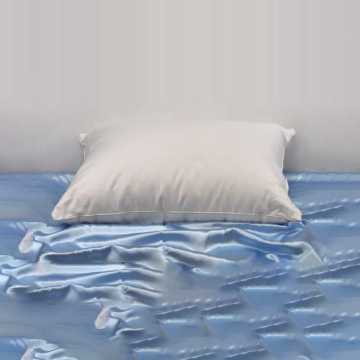 The cover is a beautiful white on white pattern, or 200 thread count solid white, back-filled and calendar, usually used in the more expensive feather pillows. 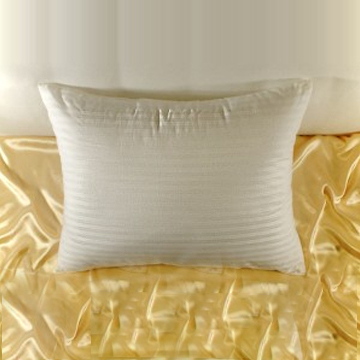 These are VERY high quality, extremely comfortable pillows, and at a very low promotional price. BUY THEM IN QUANTITY and SAVE ON SHIPPING!